Hassana was only 12 when her mom gently pushed her into a deep ditch in the backyard one morning in August 2014. The push was not to kill her, but instead to save her from being becoming a child bride to the Boko Haram foot soldiers who had just invaded their hometown of Madagali in the northeastern Nigerian state of Adamawa. Since 2009 when the death of its founder Mohammed Yusuf triggered the insurgency, hundreds of women and girls have been abducted, sexually violated or killed outright even as the sect continues to wage war against perceived ‘Western ideals’ including education for youngsters like Hassana. In April 2014, the high-profile abduction of over 250 schoolgirls from the village of Chibok in the neighbouring Borno state made the headlines. 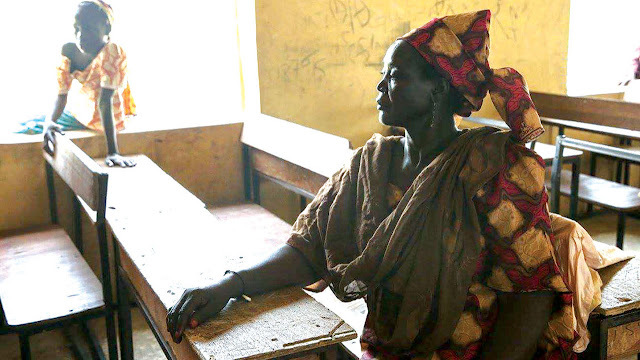 The capture of many other girls remains under the radar; some of those released have admitted to suicidal thoughts, due to the trauma of living – and being sexually and physically abused – in the terrorist camps with the Sambisa forest base. Girls aged 15 and younger have also been used in carrying out suicide bombings in the worst hit Borno and Adamawa states. Knowing all of this, Hassana’s mum, the 47-year old Zainabu Hamayaji hatched a plan to outsmart the terrorists as well as save her four children. Her instincts warned her that Boko Haram would consider Hassana, her eldest daughter to be of marriageable age and would kill her husband. She was soon proved right. Hamayaji loosened her hair to look mentally unstable and began to roll on the floor for several hours a day outside our house and in various parts of town. She urinated on herself. She defecated on her clothes. Then she rubbed both all over her body. Her neighbours avoided her just as flies swarmed to her. Still, she stuck to the script she had written – and so did her two young children. “They asked my two children if I was okay because they kept doubting me”, Hamayaji reminisces. 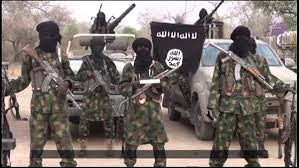 Both kids – aged seven and ten – swore that their mother’s insanity had begun a while ago and that she used to frequent a psychiatric hospital in Maiduguri, the state capital. Many of the other women gave out their daughters to the insurgents in exchange for food items and property stolen from other villages so they could take care of their remaining children – some reluctantly and others happily. But Hamayaji was unflinching in her resolve and methodical in her madness. While in the ditch, Hassana cooked the food items that her mother had pushed in along with several jerry cans of water and matchboxes for her to cook and survive. She defecated in nylon bags that decomposed around her. Outside in the compound, her mother continued her class act for nine months until Nigerian soldiers recaptured the town in March 2015 and helped bring out the young girl from the ditch. The soldiers put them in a vehicle that brought them to the Gwoza camp. It is here that Hamayaji tells her story without breaking into a smile at all. As if by habit, she peers intermittently beyond the large bullet holes in the wall to watch the open yard where children, including hers are playing. Young Hassana is wandering somewhere within the camp, celebrating the Eid festival that marks the end of the holy month of Ramadan.